To help SMEs live up to their potential, we know they need more than capital alone. 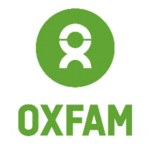 Hence, Oxfam provides tailor-made business development services to support SMEs in Nigeria, Somalia, Uganda and Vietnam. We select businesses based on an assessment of their plans and financial potential and on the social impact that they expect to deliver for their community. To ensure businesses deliver on the latter, social impact is monitored consistently from the start and measured over a period of time. We expect entrepreneurs to contribute to the costs of the business development support to some extent. amuGOLD GLOBAL NETWORK - ...upright creativity and innovation! KINGSWAY QUALITY FOODS (INT’L) LTD - AGRO-FOOD PROCESSING AND MARKETING COMPANY.